He was released at about 7pm on Monday and was received by members of human rights groups, one of who told SaharaReporters: "He has been released and he is high spirits, hale and hearty." Deji Adeyanju, Convener of Concerned Nigerians, has been released from Police custody. 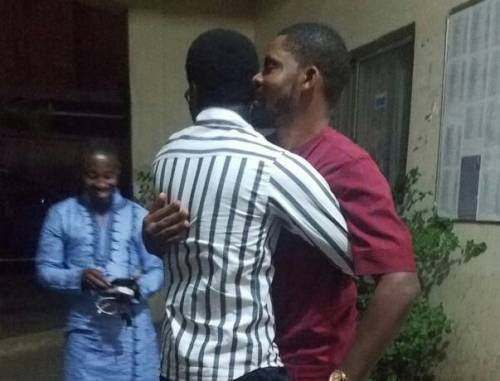 Adeyanju was picked up alongside two others by armed policemen stationed in front of the Force Headqaurters in Abuja.